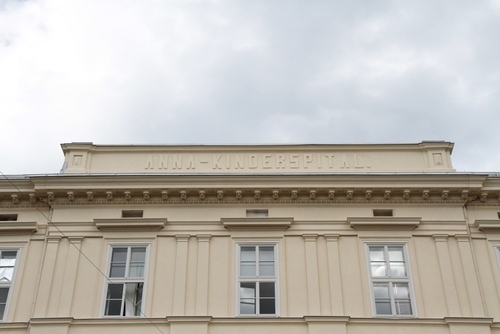 The Anna-Kinderspital in Graz was the second pediatric hospital in the Austro-Hungarian Empire, after the St. Anna Kinderspital in Vienna. 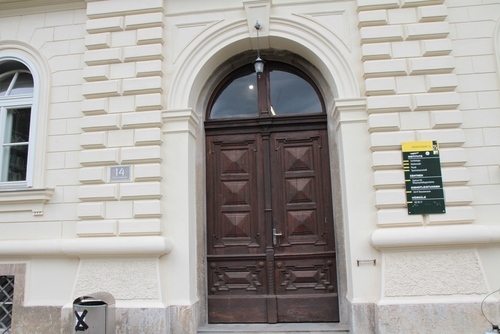 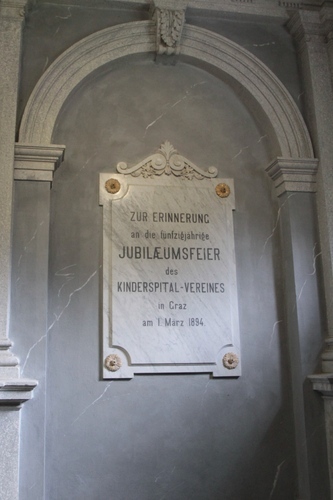 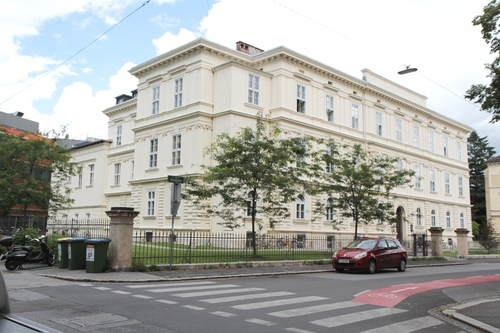 In 1842 an association for the promotion of a children's hospital (Kinderspitalsverein) was founded in Graz and after some time in a provisional site (Klosterwiesgasse), the new hospital found its permanent location in this building in Mozartgasse, 14. 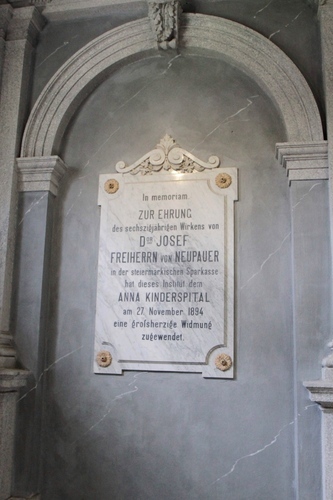 The hospital was under the patronage of Anna Plöchl, the morganatic wife of Archduke John of Austria. 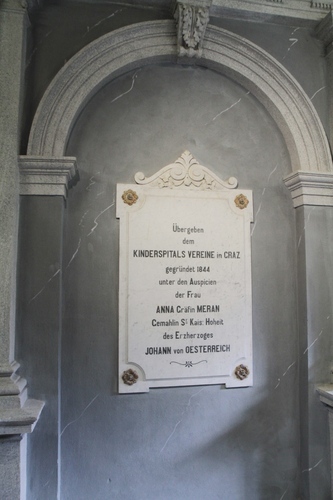 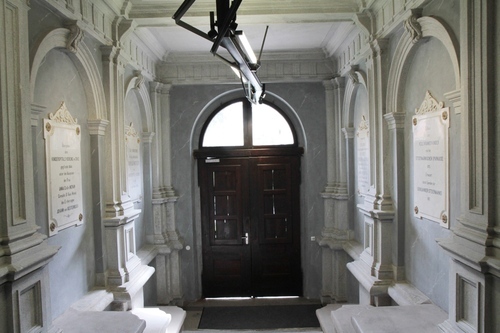 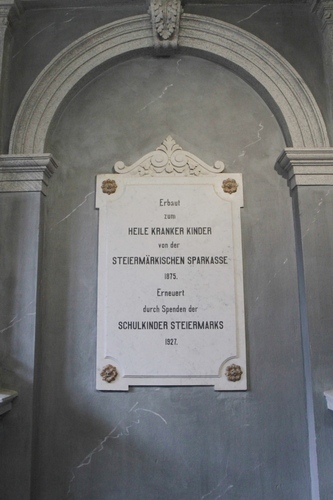 Along the entrance staircase of the building (now part of the University of Graz) you can see four marble tablets celebrating some anniversaries and benefactors of the hospital. 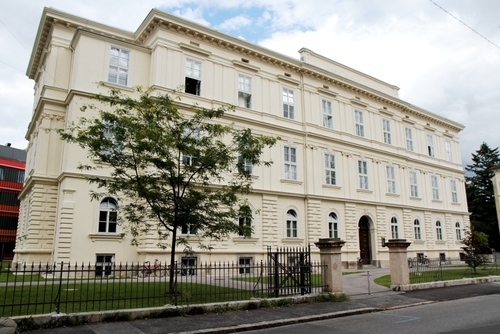 Anna-Kinderspital was in operation until 1969 when a new university teaching hospital took its place as a part of the new Landeskrankenhaus-Universitätsklinikum Graz.